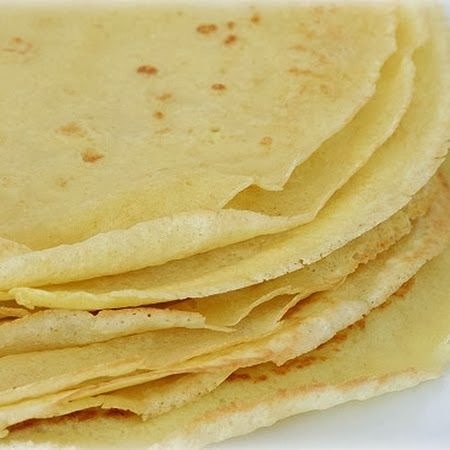 I use these in so many more ways than just “crepes”. In both sweet or savory recipes, as wraps, tortillas, noodles – they are a great way to still make those dishes you love without the unneeded carbs. You can add 1 tablespoon Splenda, 1/2 teaspoon vanilla, or sweet spices for a sweet version. Or herbs and other spices for savory. In a medium bowl beat the Ricotta with the eggs. Beat in the flour, salt, milk. Allow to sit for 15 minutes. Heat an 8-inch nonstick skillet over medium-low heat. Coat with vegetable cooking spray when hot. Pour in 2 tablespoons of batter and immediately swirl the pan to coat the entire surface in a thin layer. Allow to cook, without turning, until completely done. The top should be no longer shiny and when you touch it it’s not wet. The bottom will be have a very slight golden color. If it’s too dark, lower the heat. 0 Response to " Low Carb Crepes"